Brown’s research examines the political origins and the political consequences of social inequality with a particular focus on race and immigration. She has written award-winning articles investigating the relationship between racial politics, immigration, and social welfare policies. Her current projects include a study of state-level immigration laws in new immigrant destinations and an analysis of the racial dynamics that affected state welfare policymaking after the 1996 welfare reform act. 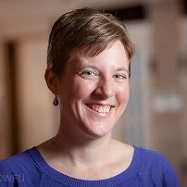 She is the former Assistant Director of The Jifunze Project, an education development NGO in Tanzania, and previously worked for Lutheran Immigrant and Refugee Services, the International Rescue Committee, and the U.S. Immigration and Naturalization Service. Guest to discuss limiting the rights of immigrant populations on WUNC: The World, Hana E. Brown, November 20, 2015. Hana E. Brown's research on racial hostilities and social welfare policy discussed in Claude Fischer, "It's the 50th Anniversary of the Civil Rights Act - Race Still Matters," Boston Review, July 2, 2014. Hana E. Brown's research on the policy implications of using racist immigration language discussed in Kate Woodsome, "U.S. Lawmaker Apologizes for Calling Latinos ‘Wetbacks’," Voice of America, November 29, 2013. "Race, Legality and the Social Policy Consequences of Anti-Immigration Mobilization" American Sociological Review 78, no. 2 (2013): 290-314. Shows that the language used by anti-immigrant movements affects policymakers’ decisions about who is eligible for social welfare benefits. Argues that racially divisive language limits political openings for a generous social safety net, but discussions of legal status yield more generous welfare policies for both citizens and non-citizens. "Welfare Reform’s Ineligible Immigrant Parent Cases: Program Reach and Enrollment Barriers" (with Richard Speiglman, Rosa Maria Castaneda, and Randy Capps). Journal of Children and Poverty 19, no. 2 (2013): 91-106. Argues that immigration-related fears and concerns about caseworkers, stigma, and future government sanctions prevent non-citizen parents from seeking cash welfare benefits for their low-income citizen children. "Racialized Conflicts and Policy Spillover Effects: The Role of Race in the Contemporary U.S. Welfare State" American Journal of Sociology 119, no. 2 (2013): 394-443. Shows that states pass restrictive cash welfare policies when racial hostilities are inflamed. Argues that racism is ever-present, but whether it affects politics depends on whether citizens see an issue as racial and whether politicians exploit that racial element. "TANF Child-Only Cases in California: Barriers to Self-Sufficiency and Well-Being" (with Richard Speiglman, Hans Bos, Yongmei Li, and Lorena Ortiz). Journal of Children and Poverty 17, no. 2 (2011): 139-163. Examines one of the least understood consequences of the 1996 welfare reform act: a caseload comprised almost entirely of “child-only” cases, children whose low-income parents receive no financial assistance from the government. Argues that in California, these individuals are prone to long spells of poverty and deprivation. "Refugees, Rights, and Race: How Legal Status Shapes Immigrants' Relationship with the State" Social Problems 58, no. 1 (2011): 144-163. Argues that legal refugees who receive government aid develop positive affinities for the United States, suggesting that generous government programs can lead immigrants to develop strong social and political ties to their new homelands.